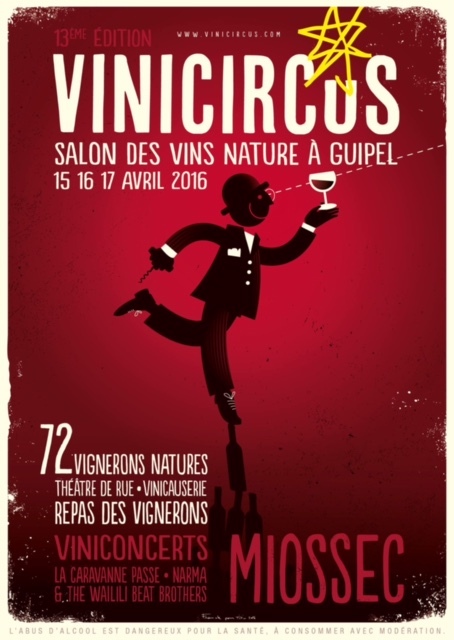 Among the historical events and other essentials, obviously we cannot forget to mention VINICIRCUS! 15-16 and 17 next April at Guipel in Brittany. No fewer than 73 natural winegrowers will be present to let you try their best wines. Obviously we are not going mention all of them here, but please know that It has the best of the best (Binner, Breton, Boulard, Frère, Maupertuis, etc.). But that’s not all! The program promises as vibrant and eclectic. Throughout the weekend, a multitude of stakeholders and activities are planned. Between meals, there will be winegrowers, the concerts, the presence of editions of ÉPURE (Tronches de vins, Mimi, Fifi et Glouglou), Sébastien Barrier will present his book from his show “Finally knowing who we’re drinking” (Savoir enfin qui nous buvons) and Dominique HUTIN, columnist at France Inter, there will be plenty to arouse curiosity and intelligence. We invite you now to visit the event site to learn more. This already promises to be unforgettable!